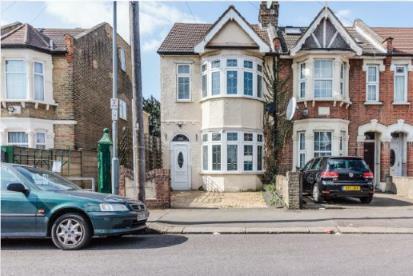 3 Bedroom End of Terrace House For Sale in Ilford for Asking Price £450,000. A fantastic opportunity to purchase this well presented three bedroom end terrace home. The ground floor accommodation comprises an entrance hall, spacious reception room, fitted kitchen and extended rear which has a WC and shower room. The first floor comprises three good sized bedrooms, a study room and the family bathroom. Externally there is off street parking to the front and a garden to the rear. Further benefits include gas central heating and double glazed windows.